He’s new to the job but already he’s making waves. An Archbishop speech by the newly-enthroned Archbishop of Canterbury has managed to upset the Prime Minister. Bizarrely, it’s not a case of the message causing upset but the words themselves. Archbishop Welby’s speech in Westminster was given at the request of the Bible Society. An august body…but not one known for its involvement in banking. In his speech on Monday the Archbishop referred to the UK economy being in a state of “depression”. That was some claim. But, it’s the sort of claim that the Archbishop made a few years ago in a Swiss banking speech. It’s not likely that these two old Etonians will fall out over the use of the word “depression.” But what is illuminating is that the Archbishop has more direct involvement in the business and financial worlds than the Prime Minister and the Chancellor combined. Fantastic. A worldly Archbishop. Beginning his speech he made clear that this was a “think-piece,” and maybe not his final thinking on the subject of the banking crisis. That might be considered a get-out clause, but it also suggests some confidence that things are going to change further. And change they might as the Archbishop has spent a year working with the Parliamentary Commission for Banking Standards. Their report is due to be published very soon. Was that what he was referring to? Perhaps. A nervous beginning made for a series of umms and errs. That’s something that we often get from Archbishops and High Court judges. It’s not an admirable trait. But we tend to tolerate it when weighed against the power of their ideas. And this speech was full of ideas. Full of concepts and theories. Most were hard to argue with. Although implementing some of those ideas would be very costly for the taxpayer. Again, there was a team, a very diverse team, that was rigorous in correction, not bound by hierarchy. Fortunately, of course, I work for an organisation now that has no sense of hierarchy. The point of a professional body is that it changes expectations and encourages not only high standards of professional knowledge, but also carries within it a sense of virtue, of what it is to be good at what you’re doing – both in practice and in character. Given the weight of the ideas in the speech, this was excusable. Undoubtedly this will not be Archbishop Justin’s last word on the subject. 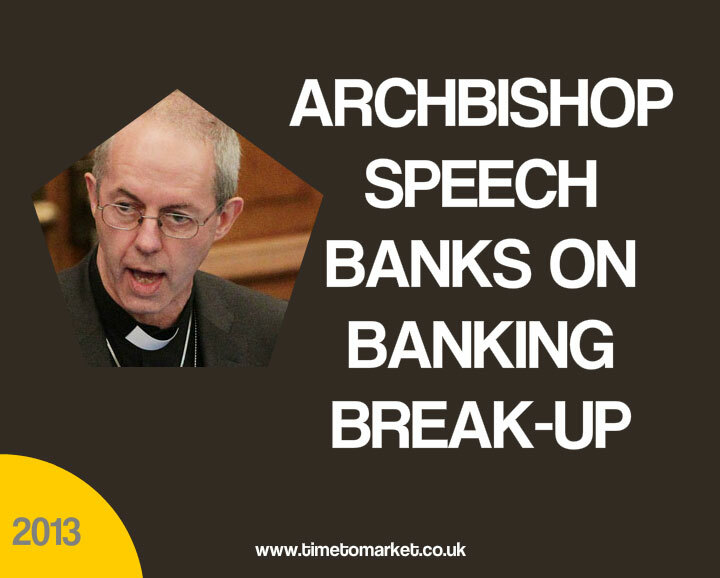 We can expect more Archbishop speeches, if not a banking break-up. 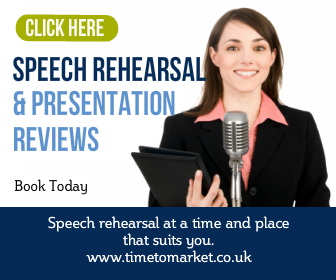 You can discover plenty of public speaking tips with Time to Market, so you are ready for your next speech. Or, if you want even more confidence you can always plan for a training or coaching session. 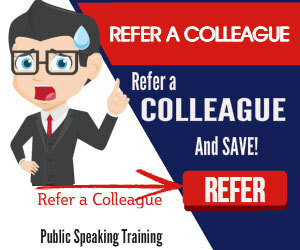 You can attend a scheduled event at one of more than 40 training centres in the UK. Or, you can also plan your own training at your workplace. Please don’t hesitate to call when the time is right. Previous Post Farage Westminster Speech Next Post Long-Winded Speakers. Authoritarian Speakers.